I was spoon feeding my 14 month old mac and cheese when someone said "you don't let her feed herself?" Well, I do... but this just seemed like a food that makes a huge mess if she fed her on her own. Should I had her self feed herself mac and cheese today and it was EVERYWHERE... but she loved it.. so I'll continue this route. However, when do we start introducing utensils? I still spoon feed her yogurt... should I be letting her play with the spoon when she gets yogurt?? My daughter started feeding herself using a spoon when she was 14 months old. Pretty much anything I can put in bowl I do and then give her a spoon. She feeds herself, with a spoon, mac n cheese, yogurt, spaghetti and meatballs, baked beans, etc. At 12 months, we also went straight from bottle to open cup. She never used a sippy cup and is very good at drinking out of an open cup now. She should absolutely be practicing feeding herself with a spoon at 14 months.....even yogurt! Let her try to feed herself, and if she needs help then you can step in and help her. If it's the mess that's bothering you, then when appropriate strip her to just a diaper when she eats, and situate her chair on something really easy to clean like linoleum. When out or at Grammas house, give her something really hard to be messy wth, like a grilled cheese. 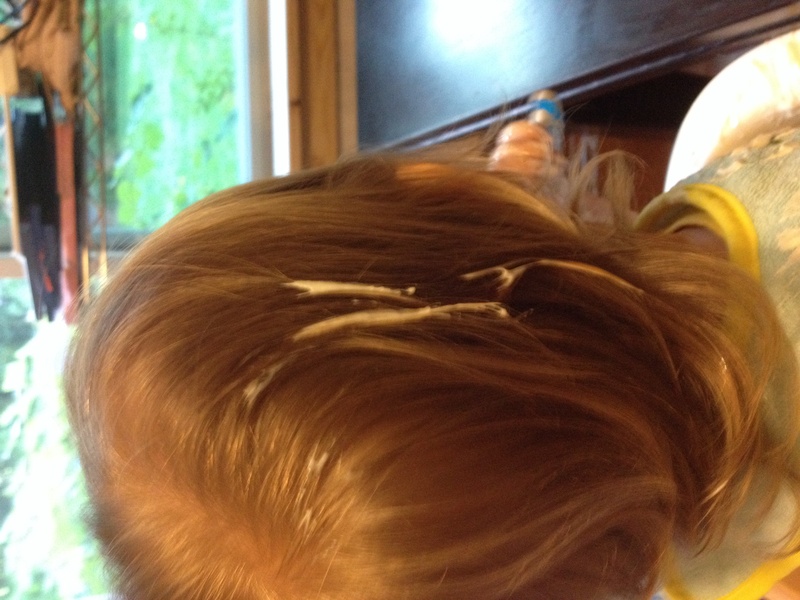 I actually have a friend who does all really neat meals, but dinner is messy right before bathtime. You would have to get a little more creative with healthy meals that way, though. But, the longer you let them feed themselves, the neater they eat. Daughter still drops into her lap occasionally, and of course her face needs wiping off, but unless she's exhausted it's rarely a big messy ordeal. Even at 19 months, there are some things I will help my LO eat by either guiding the spoon or holding the bowl. However, we have found that she actually eats better when she self-feeds. When it is something really messy, we put down a garbage bag under her chair lol. My MIL would love you. I'm on the other side of the spectrum: my kids ate regular food (according to BLW) starting 6 mos and I gave them utensils early so they used the spoon well by 14 mos. I love the messes b/c in my mind it's the path to self-confidence and control. (It helps that the highchairs/booster seats have easy-clean trays and mats underneath.) My DH has come around - he's lived and sees the impact of his family's eating habits on himself and his nephews. In my MIL's book: spoon feed her so she eats enough and avoid messes. In my book: let her learn and regulate her intake. GL with finding what works for you two. We also did BLW and let DD have utensils at meals when she started stealing ours. She is just shy of 19 months and has been using utensils herself since about a year. She eats some things with a fork and spoon, other times she just prefers her hands. But then utensils are always present. She usually eats everything herself, except yogurt most times (usually we put it on the spoon and give her the spoon, on occasion we do a diaper only and she goes at it herself with a bath after). The only thing I WILL NOT let her eat herself is soup because it never makes her mouth, and she loves soup so we try and get every bite. My DD was attempting to use utensils at 10 months and became pretty proficient at using them at around 13-14 months. She loves to feed herself and actually will throw a fit if I don't let her feed herself...so yes things do get very messy but she wants to be independent. She was drinking from a straw at 7 months, never really got bottles because I breastfed and drinks from an open cup. I have found also my daughter is more likely to eat her entire meal if she feeds herself. If we try to feed her she doesn't really eat as much. Yogurt was one of the first things I have my little man a spoon for. At about 9 months he grabbed it out of my hand and put it in the yogurt himself and fed himself the rest. He loved getting a fork and says "poke" every time he stabs a piece of food. We give him utensils with most meals and he decides.